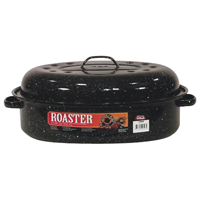 COOKPRO 531 Roaster constructed in stainless steel for durability. 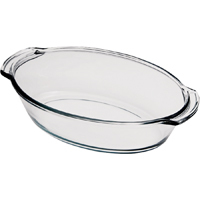 Deep dish design allows you to use it as lasagna pan. 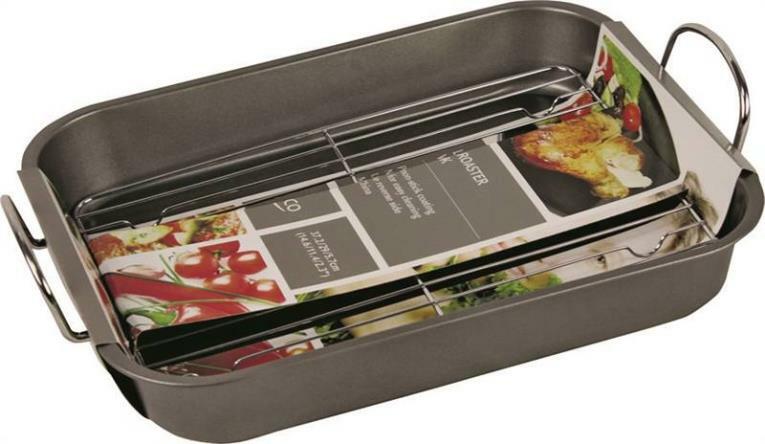 Set includes roasting rack, lasagna spatula & plastic cover that locks in the freshness until next serving. 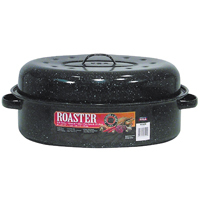 Gibson Home Top Roast 16" Oval Roaster with lid and rack. This item cannot be shipped to APO/FPO addresses. Please accept our apologies. 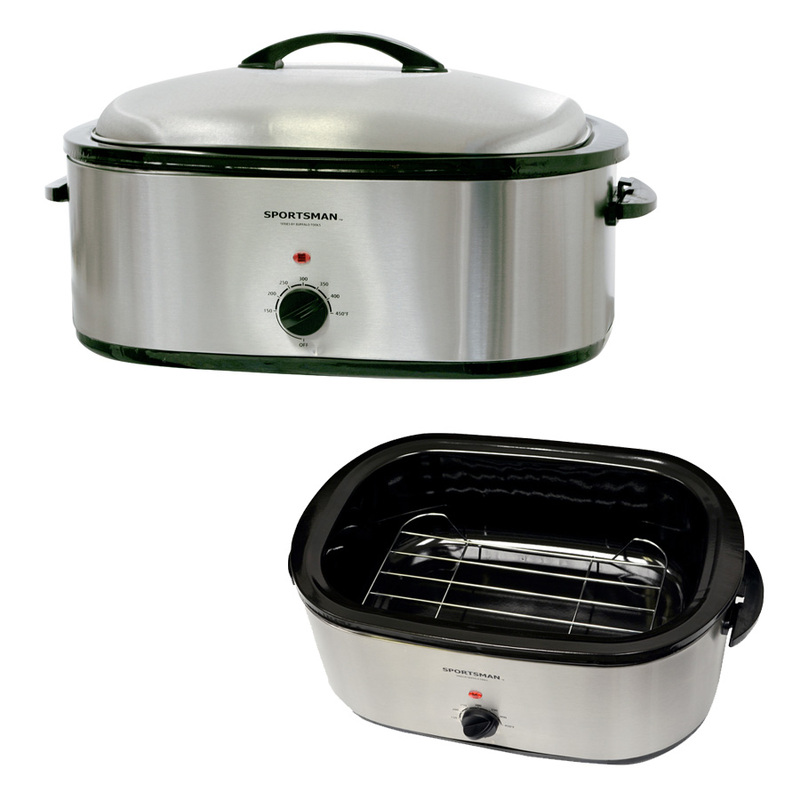 Roast whole chickens to perfection in a charcoal or gas grill with the Sportsman Series Beer Can Chicken Roaster. This set includes one Double Chicken Roaster and one Single Chicken Roaster. Insert an open can of beer into each chicken then grill. When the chickens are done, they are moist, tender, and full of flavor. Add up to four potatoes and four ears of corn to the built-in skewers to easily make a full meal for the entire family. 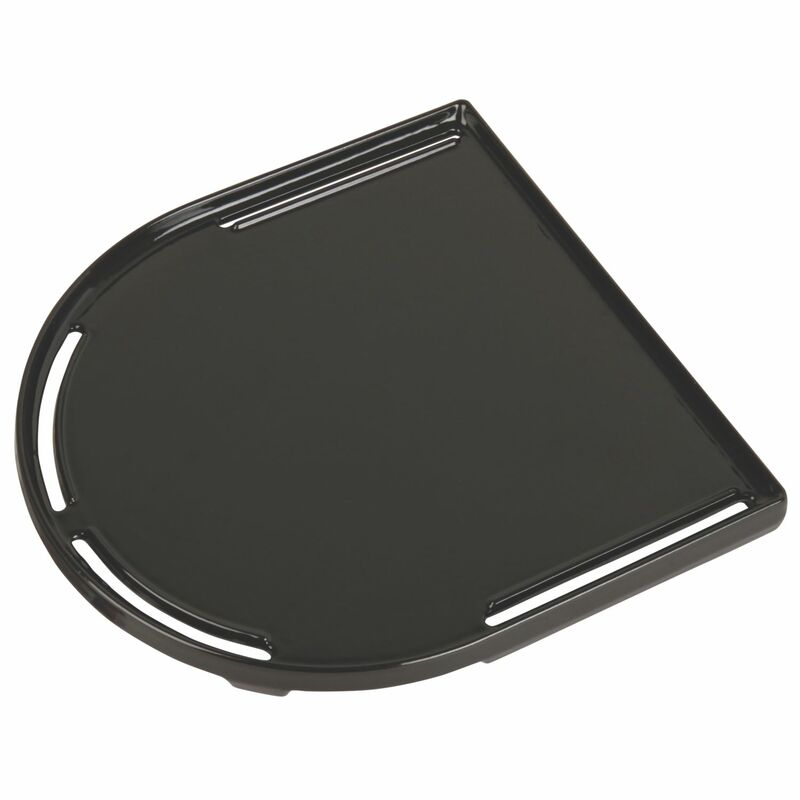 Get more meals out of your Coleman RoadTrip Grill by adding a durable Coleman RoadTrip Swaptop Cast Iron Griddle. 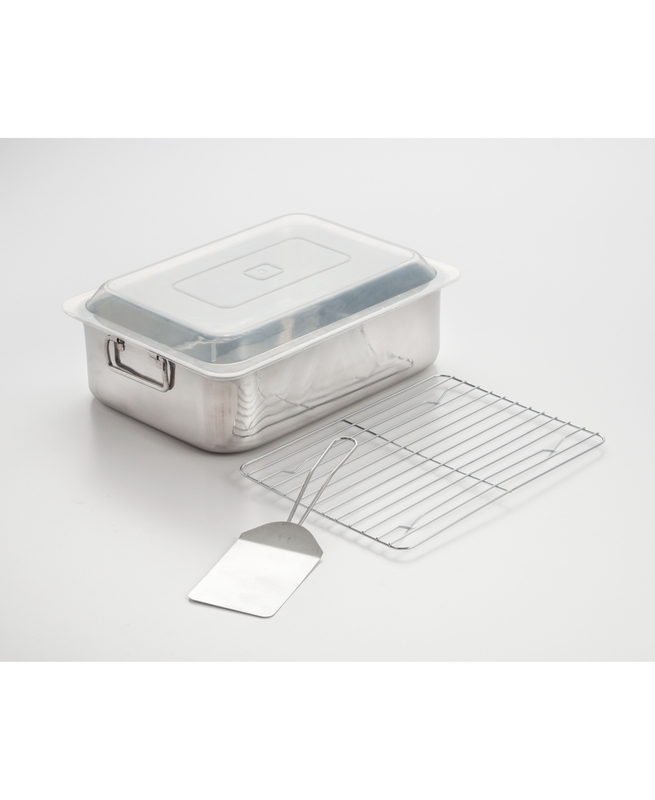 Swaptop compatible, you can mix and match it with other cook tops (sold separately) for more meal options. It creates 142 sq. in. of cooking space for pancakes, bacon and more. 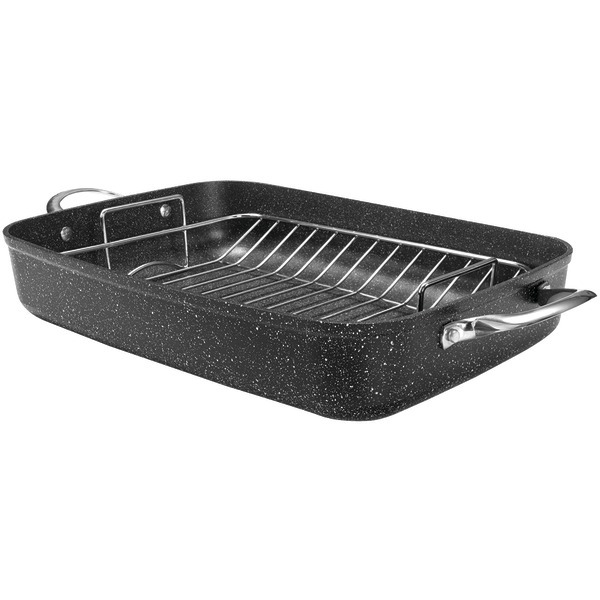 The porcelain-coated cast iron construction is easy to clean at the campsite or at home. 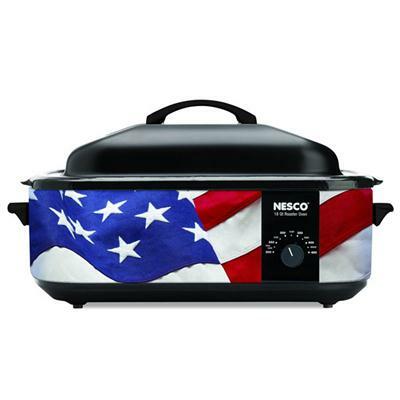 The NESCO 18 quart Patriotic Roaster features 1425 watts of power and an adjustable temperature control from 200 to 450 degrees F. It has a removable porcelain cookwell and chrome plated cooking/baking rack. The circle of heat cooks from all sides and will roast steam slow cook and bake. Steel Porcelain Red/White/Blue. This item cannot be shipped to APO/FPO addresses. Please accept our apologies. 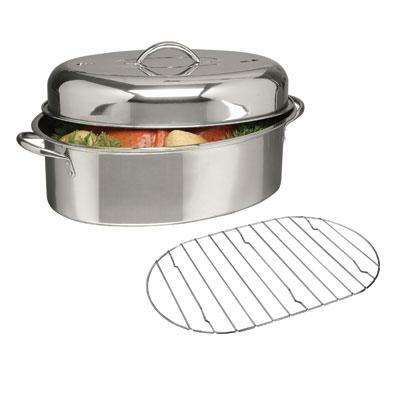 COOK PRO� 23LB Stainless Roaster 574 An essential piece of cookware for family dinners, parties and holiday celebrations, the high dome, quality Stainless Steel roaster with roasting rack is designed to hold a turkey, chicken, or large roast. 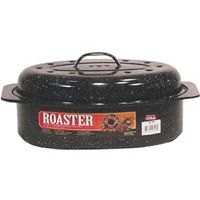 � Riveted Stainless Steel handles make it easy and safe to lift the roaster in and out of the oven. 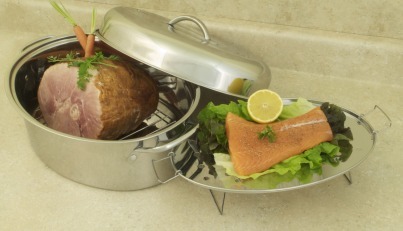 �� The steamer plate doubles as a fish poacher. 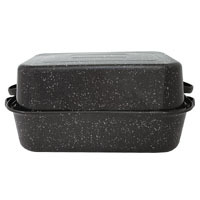 Free up space in the oven when cooking large meals with the Sportsman 18 Quart Roaster Oven. Cook large meals without heating up the kitchen during warm months. 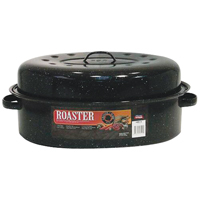 Use the Sportsman 18 Quart Roaster Oven for cooking and serving large families meals during holidays and reunions, potlucks, church groups and more. 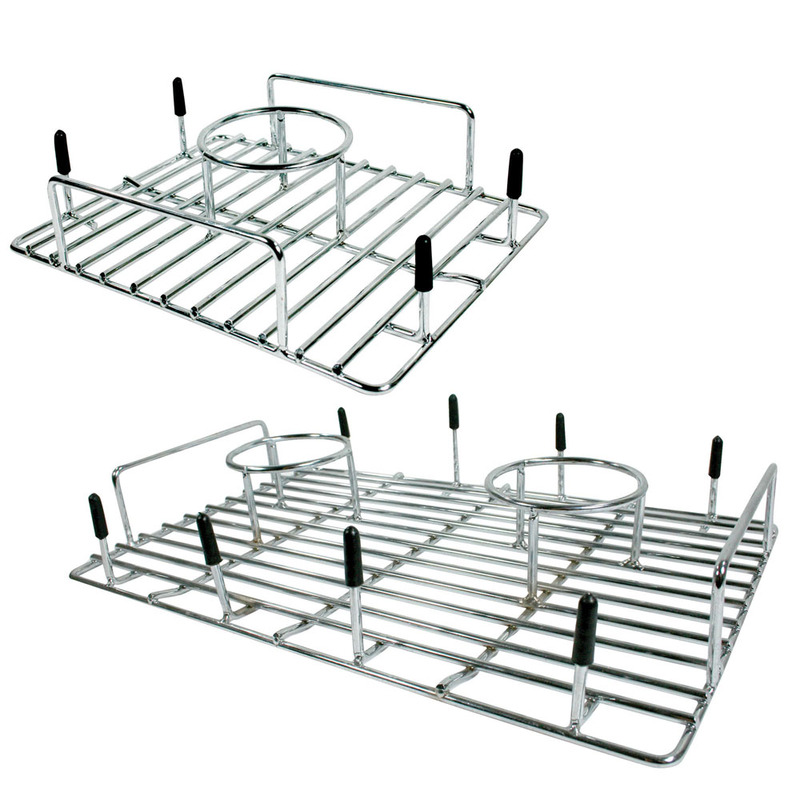 The removable enamel roasting pan and steel roasting rack make it easier to clean, and an adjustable temperature from 150 to 450° F lets you confidently cook turkey, pork loin, or beef roasts to safe and correct temperatures. 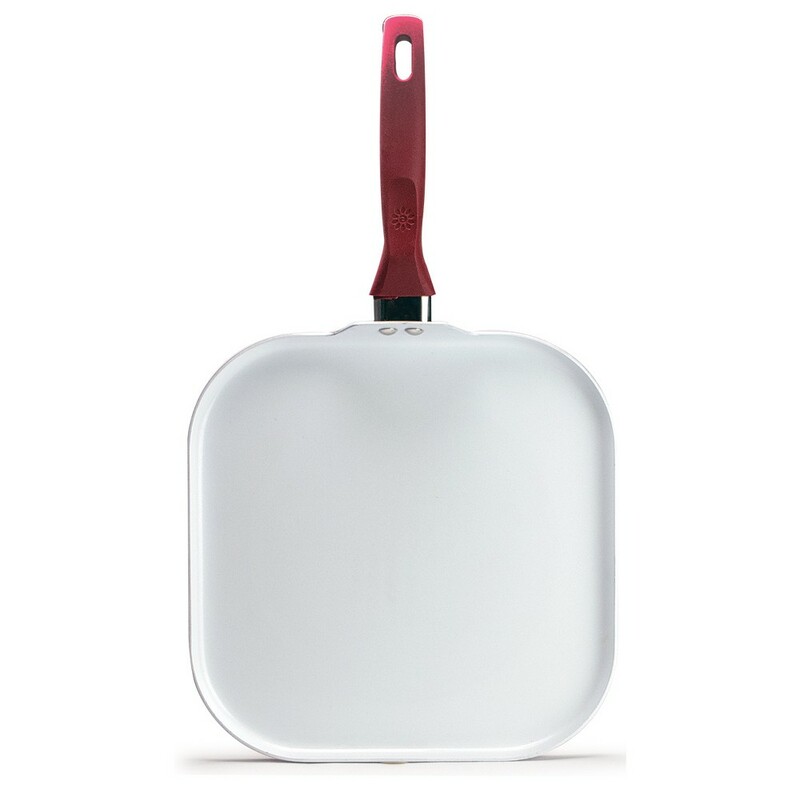 A contemporary stainless steel finish looks good sitting on the counter, and the high domed cover makes for faster, moister dishes.